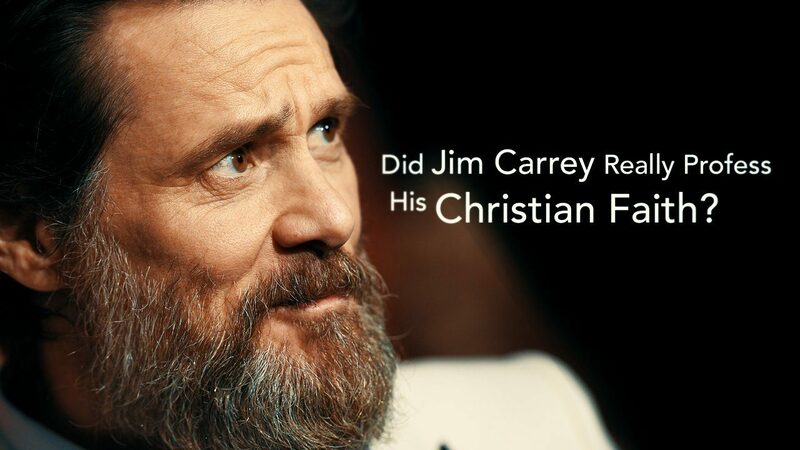 Did Jim Carrey Really Profess His Christian Faith? Jim Carrey is a multi-talented actor and comedian, known just as much for his visceral dramatic roles (THE TRUMAN SHOW and ETERNAL SUNSHINE OF THE SPOTLESS MIND) as he is his zany, off-the-wall comedic ones (LIAR LIAR and ACE VENTURA: PET DETECTIVE). However, one thing the celebrity is not so famous for is his philosophical musings on forgiveness, grace and omnipresence. It’s little wonder a video containing his thoughts on those very subjects has gone viral. “I believe that this room is filled with God,” Carrey said while addressing formerly gang-involved men and women at Homeboy Industries in Los Angeles. He went on to briefly reference his own personal struggles, then shared his thoughts on salvation. 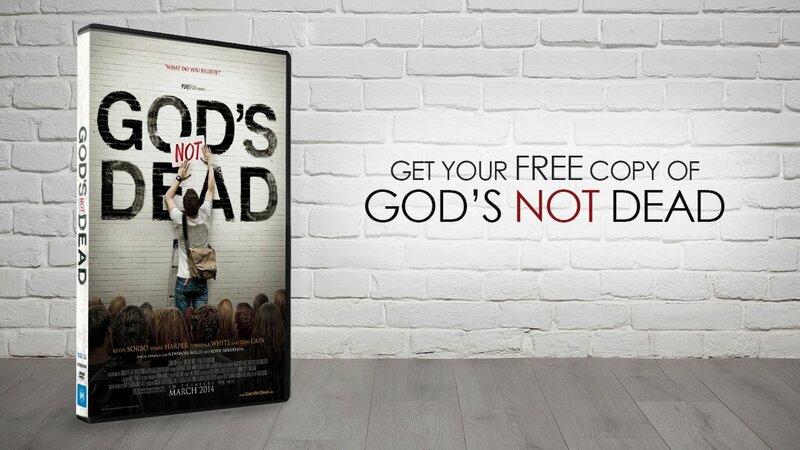 Those sentiments alone allude quite strikingly to the Christian doctrine of soteriology, which holds that Christ’s death secures salvation for those who believe that “God raised him from the dead” (Romans 10:9). However, Carrey makes no mention of an individual’s salvation being found in Christ alone, but merely uses Jesus as an example from whom we can learn how to transcend (a word Carrey has used frequently in his various interviews over the years) suffering and embrace salvation and inner healing. In fact, in his 2009 keynote talk for the Global Alliance for Transformational Entertainment, Carrey spoke about Jesus, and specifically his “puzzlement” concerning how he saved the world from sin. Whereas the speech he delivered at Homeboys Industries contains biblical precepts as they relate to themes of mercy and forgiveness, the quote above flies in the face of Christianity’s paramount tenet, namely that apart from Christ, there is no freedom from sin. At the end of Carrey’s talk at Homeboys, he brought up another theological doctrine, that of omnipresence. As you will see, his interpretation certainly doesn’t line up with Scripture. This view is in accordance with the New Age religion where God is impersonal and omnipresent in the way Carrey describes. New Agers believe God is in everything (pantheism) and that all things are one (monism). Therefore, there is no difference between God and man; they are one and the same. The biblical view of omnipresence as one of God’s divine attributes is that God’s presence is continuous throughout Creation and that everything in Creation is immediately in God’s presence, including human beings. However, God is distinct from Creation because he is the creator of it. Nature itself is not divine. One could describe Carrey’s talk as “Christ-centered” because, technically, Christ’s crucifixion drove home Carrey’s point of overcoming resentment and vengeance through grace and forgiveness. However, Christians must use spiritual discernment before they hail Carrey – or anyone else, for that matter – as a Christian role model. Just because most of what he said was biblically sound doesn’t mean he believes that Jesus is the Son of God and Savior of mankind. We have a responsibility to “test the spirits,” as the Apostle John wrote, and to “examine the Scriptures daily to see if these things [are] so” (1 John 4:1; Acts 17:11). This universalistic belief inarguably opposes the Word of God. Jesus made it clear that HE “the way, the truth and the life” and that “no one comes to the Father except through [Him]” (John 14:6). If there were other ways to the Father and multiple paths to eternal life, then God the Father wouldn’t have had to send His only Son to take our sin and shame upon himself and suffer the most excruciating death known to man. He would have left us to our own man-made idols, convoluted belief systems, and futile sophistry, knowing that no matter what road we took, we’d ultimately find our way to Heaven. Today’s culture is saturated with this saccharine statement of self-love. I don’t think anyone can argue that self-acceptance and self-confidence are critical components to leading a content and fulfilling life, but truly loving yourself is not something humans can achieve by force of will. We must connect to the source of love, the embodiment of love, which is God himself. Apart from him, Jesus taught, we can do nothing, and that includes loving ourselves in a substantive, meaningful, and lasting way (John 15:5). No one can peek inside a person’s heart and judge whether he or she has a relationship with God. Perhaps in the last few years, Carrey has indeed confessed his sins, repented and committed his life to Christ. It is very possible his unbiblical views will be corrected as the Holy Spirit elucidates Scripture and shows him the truth. Whatever Carrey’s beliefs, it is our duty as followers of Christ to pray for him and gently instruct him, as well as those who look up to him. It is clear, as evidenced by the vitality of his talk at Homeboys Industries, that thousands of people are listening to what Jim Carrey has to say. What a marvelous thing it would be for his words to point others to the life-changing power of the Gospel of Jesus Christ. – Sources: YouTube, CBS News 11/18/04, Personal Spirituality 01/29/10.